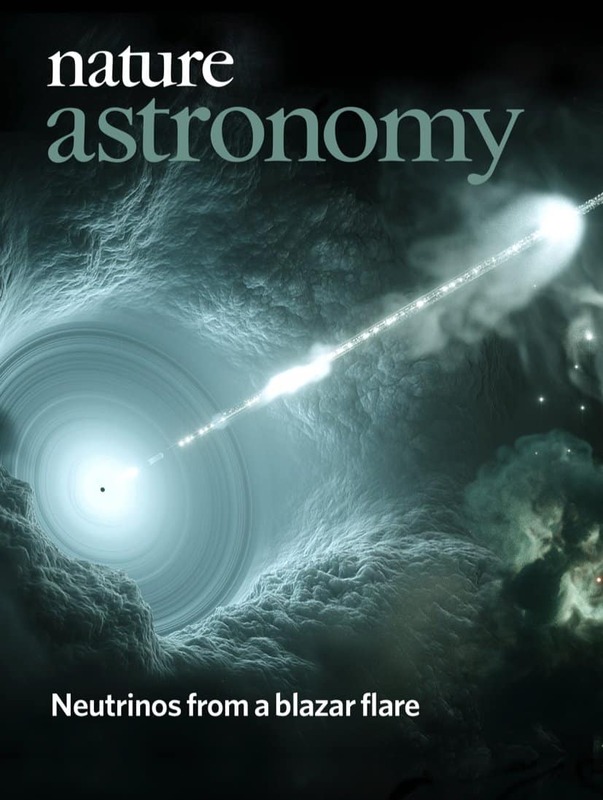 This feels like a knightly accolade: Our visualization of a supermassive blackhole with a Neutrino blazar graces the cover of the January 2019 edition of the Nature Astronomy! They even use it as a twitter icon, very smart. Dive into the deep sea with our new Scientific Poster for the Max Planck In­sti­tute for Mar­ine Mi­cro­bi­o­logy in Bremen. The interactive poster shows all the habitats of their microbiology research. While wandering on the seabed, one can dive deeper into the individual habitats, study the organisms and learn about the processes. Elaborate 3D animations show the individual habitats and enable an almost photorealistic underwater landscape. Dive into it! 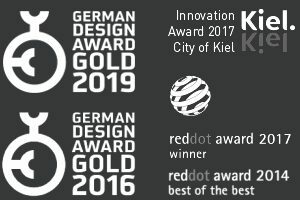 ICOMOS, the International Council on Monuments an Sites, advices that Haithabu and the Danewerk in Schleswig Holstein should become a Unesco world heritage site! 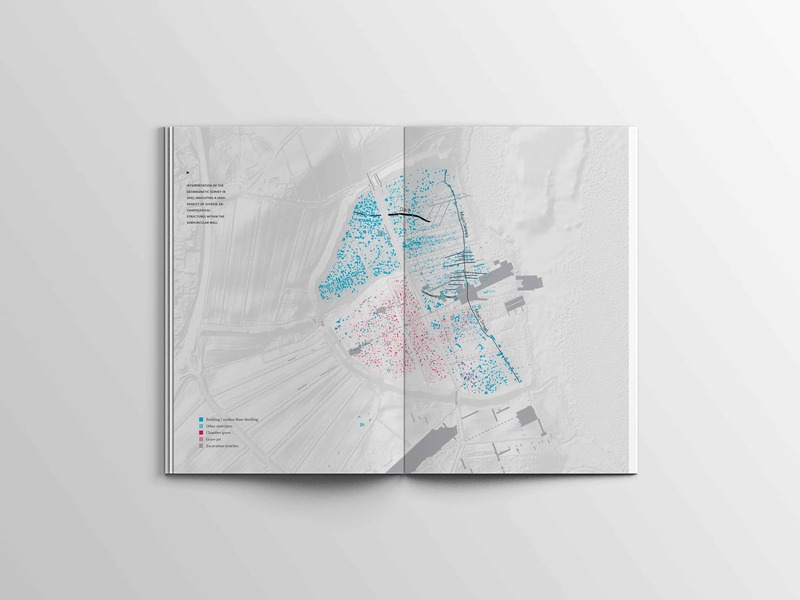 We are very proud to have made a small contribution to it: Konrad did the editorial design for the proposal and developed some sophisticated infographics to make the sites hisory and development visible and more understandable. 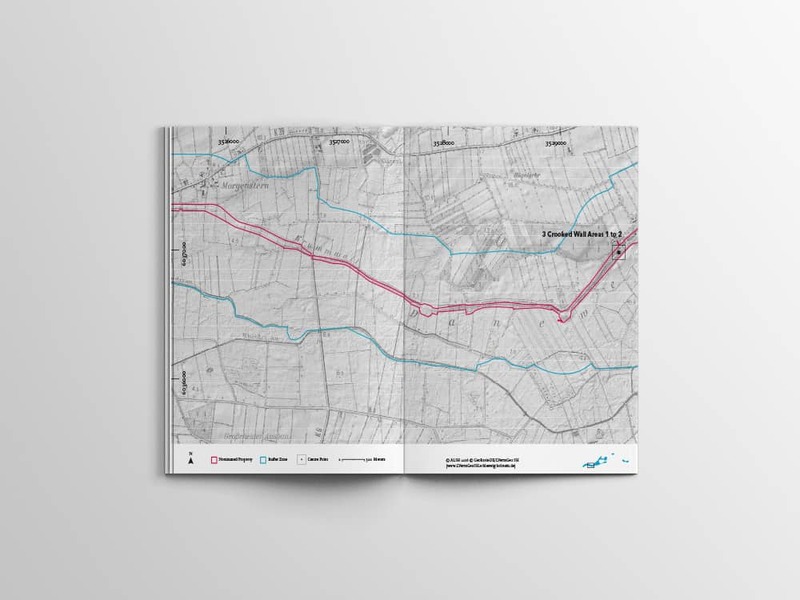 You can download the full PDF version (98 MB) here. For the very first time, we bring our interactive scientific poster on mobile devices. This is perfect to show your scientific research at conferences abroad or to share and explain your topics to a smaller group of colleagues. For us at Science Communication Lab, this flexibility in different media devices is a milestone in the development of exciting scientific communication formats. 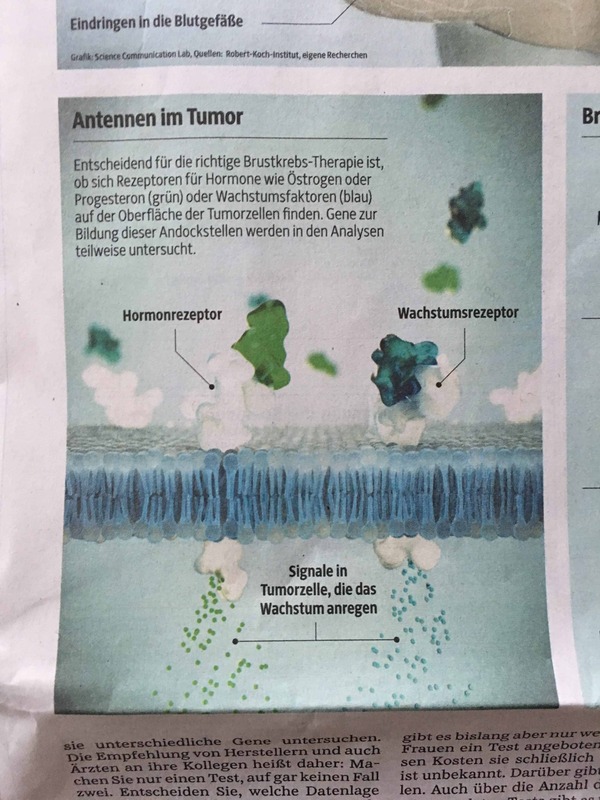 The shown interactive scientific poster is called Digital Meta and was developed for the CRC Metaorganism at Christian-Albrechts University Kiel. Premiere of our latest Interactive Scientific Poster for CRC1182 Metaorganism on 12. April 2018. “Digital Meta” is an interactive multimedia exhibit that conveys the complex scientific content of the relationship between host and bacteria. 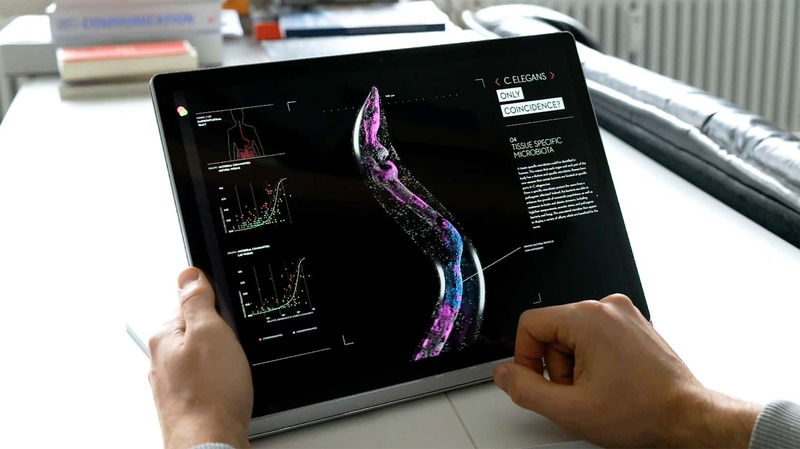 On a 65-inch touchscreen, users can explore the interaction of bacterial symbionts with their multicellular host organisms using five model organisms ranging from humans and wheat plants to nematodes. This experience is controlled with intuitive gestural inputs similar to those on a smartphone or tablet. 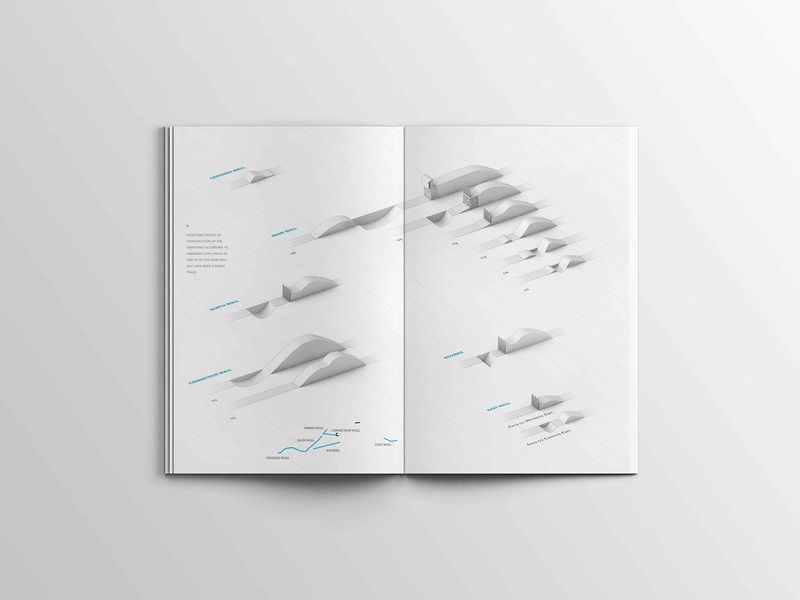 Users navigate through the freely combinable information levels of the digital poster and can gain individual access to this actually invisible world. 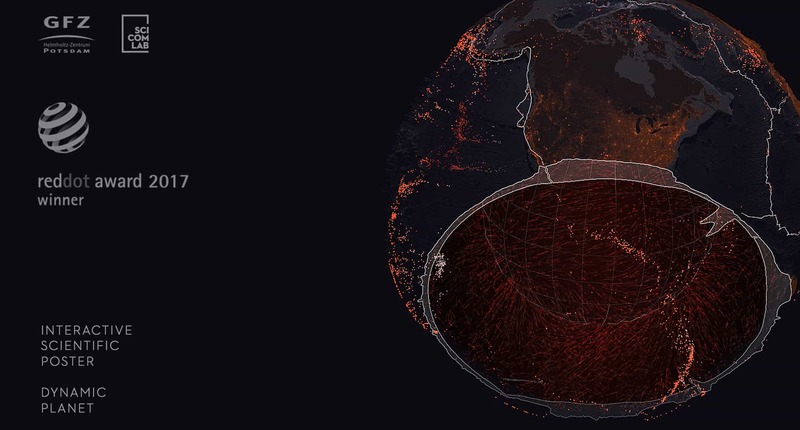 “Our goal is to visualize the abstract concept of the meta-organism in such a way that this fascinating field of research can be experienced immediately and interactively by the general public. 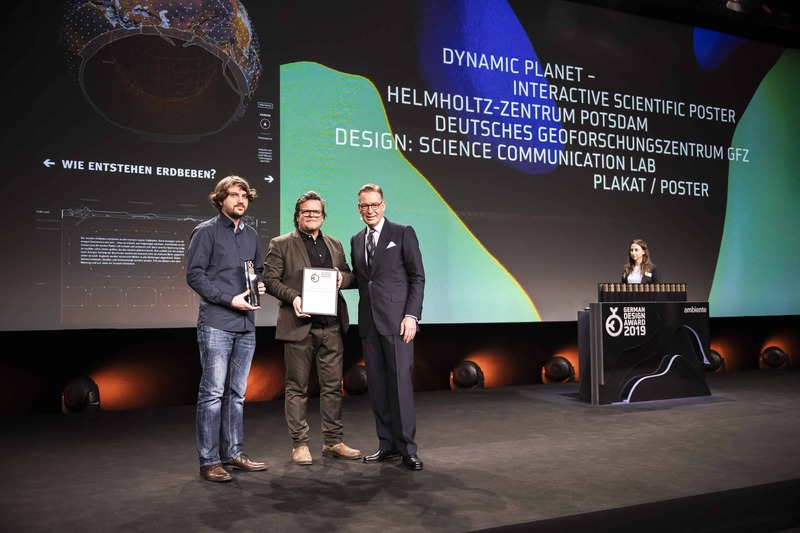 We hope that our new exhibit will make this important research topic more visible to society,” emphasizes Tom Duscher, co-founder of the Science Communication Lab and professor for interactive media at Muthesius Kunsthochschule Kiel. Read more and see screenshots at the website of CRC Metaorganism. 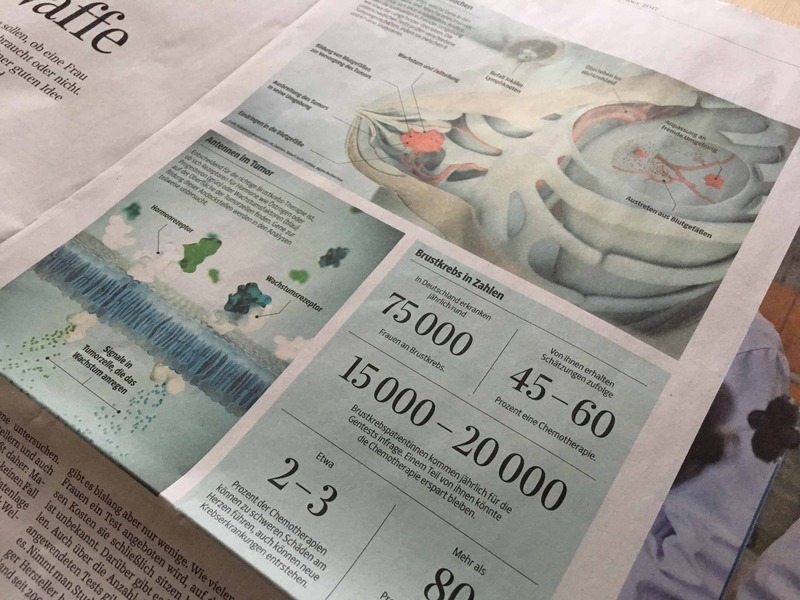 Yes, we do not only develop interactive posters but also classical scientific visualization for newspapers! 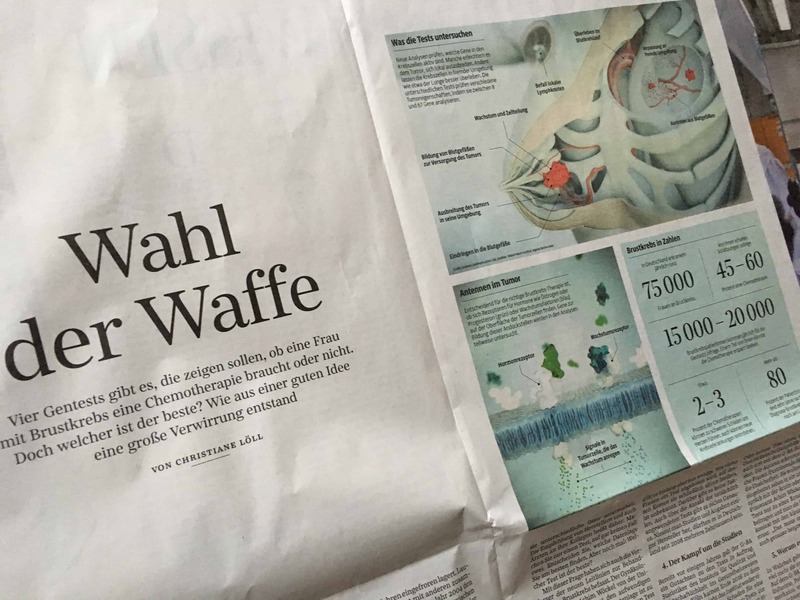 Konrad created this stunning illustrations for Christiane Lölls article „Die Wahl der Waffe” (The choice of weapons) in Germanys renowned Süddeutsche Zeitung. 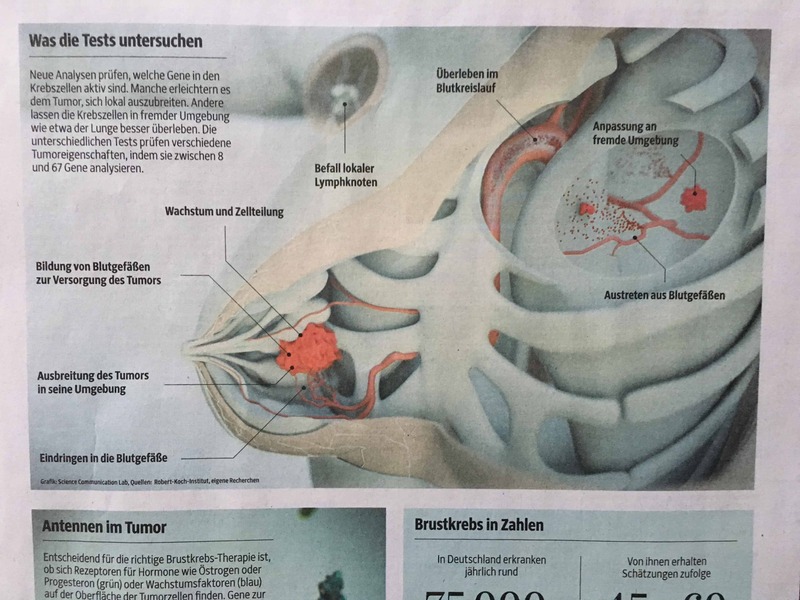 It explains how breast cancer is detected (or not) by different tests. 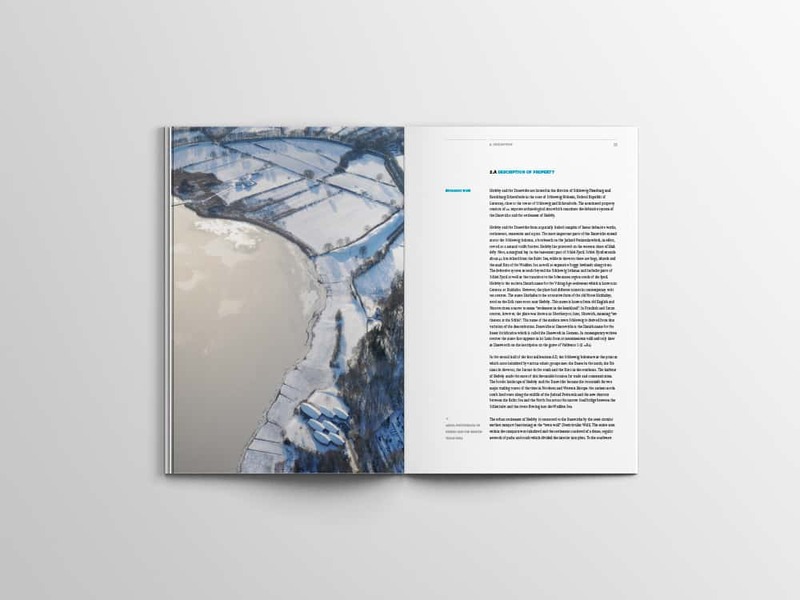 We worked with Christiane on that story also in her article at Substanz magazine where we developed an introductive trailer and a scrollytelling website. So you see, we do a lot of different formats- and interactive posters, too. 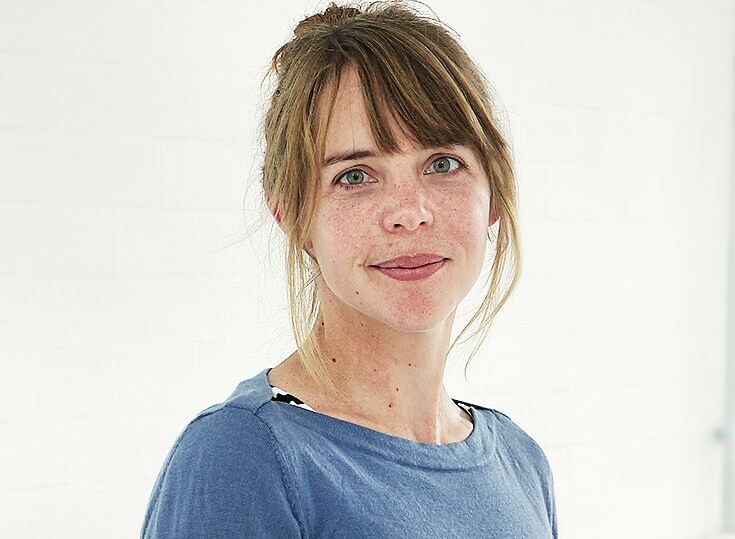 Since August 2017 Susanne Landis joined our team. 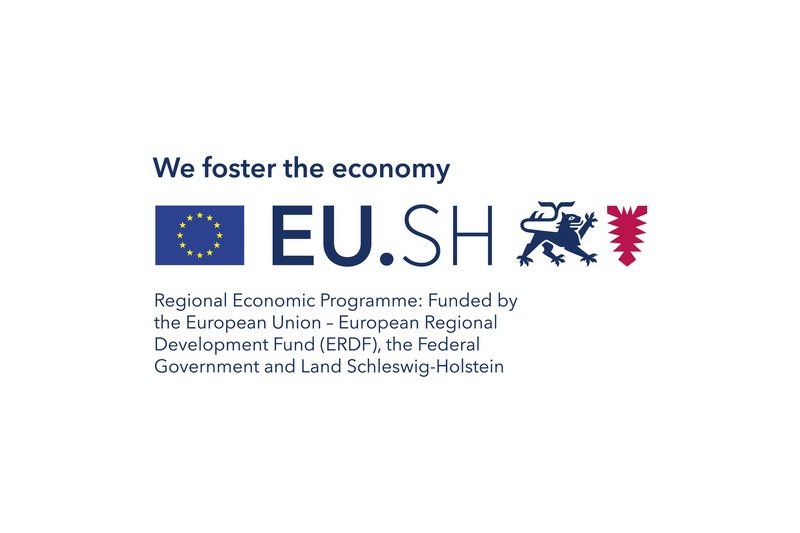 Her position is co-financed by the Innovation Assistance Program of the European Regional Developing Fund and WTSH Schleswig Holstein. Now we are designers and scientists which gives us even more understanding of science communication needs. Susanne has all the insights of academic and scientific processes and is a doctorate evolutionary biologist. But even better: She has experience in teaching and pedagogical concepts as well as illustration skills!